It has been a tough month for Kent Hovind. Doctor Dino, as he is known, needs no introduction to my regular readers, but I ask for their patience, as I give newcomers a little background. Kent Hovind is one of the leading lights in Young Earth Creationism. YEC follows a hyper literal reading of the Bible to arrive at the world being roughly 6,000 years old. There is no such thing as prehistoric in the YEC view – just antediluvian. Antediluvian means before the Flood, which is used to account for the geologic evidence of a much older earth. One of the implications of YEC is that people and dinosaurs must have been running around at the same time, a concept dear to Kent Hovind’s heart, giving him the Doctor Dino sobriquet and inspiring him to have his ministry, Creation Science Evangelism, create a theme park called Dinosaur Adventureland. CSE and the park were the focus of Kent’s tax problems which earned him a long sentence in federal prison. He considered the ministry to be tax exempt and had taken a vow of poverty. He considered the people who worked there to be missionaries and paid them in cash without filing payroll tax returns. In his criminal prosecution, the greatest number of counts was for something called “structuring” – systematically keeping cash deposits and withdrawals below $10,000 to avoid currency reporting requirements. The New York Times just ran a story on a variety of people who, perhaps innocently, ran afoul of the structuring rules and were subject to civil forfeiture, although not criminal prosecution. The civil liability of Kent and his wife Jo Delia Hovind for income taxes is a separate issue. Since the IRS could not tell whose money was whose, and the Hovinds apparently did not file at all, they were whipsawed – each being taxed on the whole amount. Here is a rundown of my coverage of their travails up to this point. When last we checked in, Kent , nearing the end of a long sentence was hit with another criminal charge for contempt of court arising out of a filing that was made in connection with federal seizure of CSE property. On October 23, 2014 the Fourth Circuit turned down Hovind’s appeal of a Tax Court order finding him liable for over $3 million in taxes and penalties for the years 1996 to 2006. Hovind repeatedly delayed Tax Court proceedings by failing to file responses to motions, participate in discovery or follow court orders. He also consistently advanced frivolous arguments and refused to recognize the Tax Court’s authority, asserting his individual sovereignty as a free inhabitant foreign to the United States. ……. Finally we decline to address Hovind’s challenges to the merits of the deficiency judgement entered against him – that he is exempt from taxation as a minister of CSE and that IRS records contradict the Tax Court’s decision – because these arguments were not timely and properly presented to the Tax Court for resolution. I file no Federal Income Taxes (1040 Form) since the year 2000. (No filings in any form. )(Always demand a 6203 Assessment when confronted.) I do not pay STATE income tax, or sales tax on major purchases. I pay no COUNTY property taxes though I owned over 28 properties (28 buildings). ( I believe I have discovered a “filing for record” process that takes my Land off the tax roles. ) I do not vote for UNITED STATE, or NEBRASKA STATE, County, or City governing officers. I am a sovereign American by birth right. (Not a US citizen.) I believe in full support of the “perpetual Union” as found in the second of four constitutions, “Articles of Confederation”. I have discovered that a “free American” has the lawful standing to choose to live independent of the corporate US governments, and its legislative statutory courts in the vast majority of his daily life, and to be forced to do otherwise is slavery. This audio clip from a hearing following Hansen’s arrest can give you a sense of the types of arguments he will make in court and the type of reactions those arguments elicit from judges. Kent Hovind has not really focused his energy on preaching views of this sort, even if he may have practiced them to some extent. I should preface this by saying that Kent Hovind’s troubles are pretty much of his own making. YEC supporters have encouraged Kent to stop fighting the IRS so he can focus his energy on “creation science”. Eric Hovind is following in his dad’s footsteps in arguing against evolution, but is not a chip off the old block when it comes to tax compliance. The website of his group Creation Today gives links to its Form 990 and even mentions its CPA firm. With that said I really question the judgement of the government in going after Kent for making one more stupid filing. Frankly, if I was on the jury, they might have a hard time getting a conviction. There is stupid and stubborn and there is criminal. Plenty of tax related crime to fight elsewhere. If Hovind is convicted, he will seem like a martyr. If he is acquitted, it will look like a victory for tax defiers. My most constant commenter, retired IRS appeals officer, Robert Baty, follows Kent’s travails much more closely than I do. Bob speculates that Kent might have an opportunity to flip on Hansen. He also notes that people in Nebraska might be happy to have Hansen out of circulation as he has been creating aggravation for local authorities. OUR FRIEND PAUL HANSEN ALSO HAS BEEN TAKEN TO JAIL! THIS IS THE US GOVERNMENT’S XIAN PERSECUTION AT IT’S FINEST! PLS PRAY FOR DR. HOVIND AND PAUL HANSEN! So at least for the moment there may be some solidarity there. If, like me, you think it is wisest to trust conventional scientists on questions like how old the earth is and whether there has been evolution or not, recognizing that conventional science’s answers are always somewhat provisional, you may be tempted to consider young earth creationists a bunch of whackadoodles and leave it at that. I think that is a mistaken view. There are questions that people yearn to have answered that conventional science does not really address – like -”What’s it all about?”. And there’s more. Last year as I was taking my sister home from Christmas Midnight Mass, an annual ritual of ours, I asked her about the Adam and Eve story. My sister is a Pallotine nun with a masters in biology who taught high school science for many years. Her sense of the Adam and Eve story of Original Sin is that it means “Something went wrong”. Oddly it is not just Christians who think something went wrong or perhaps just went different maybe five or ten thousand years ago or not much longer when viewed on a time scale of billions of years. Radical feminists will write about patriarchy, the systematic exploitation of women as a class by men as a class, going back 5,000 years. Deep Green Resistance argues that starting civilization ten thousand years ago was a really, really bad idea. There there is an incredibly intriguing theory laid by Julian Jaynes in The Origin of Consciousness in the Breakdown of the Bicameral Mind. The title kind of gives it away. If your answer is how wrong those particular examples are and something of a whackadoodles all view, here is something to think about. In the long run, on a more modest historical time scale, people with extreme views often turned out to be right. If in 1840 you believed that it was wrong for people to own one another and that civil rights should not vary based on race and that women should be able to vote and that alcohol and tobacco were probably pretty unhealthy, you would be way out on the fringe, which makes me think that right now, there is something way out on the fringe, that a hundred years hence will have people scratching their heads wondering how we didn’t get it. I don’t find it a good use of time to vigorously argue with people who have very strong belief systems. I do find it worthwhile to contemplate their systems as viewpoints and see if anything can be learned from looking at it from their point of view. Granted that is pretty challenging when it comes to young earth creationism, but there is probably something. 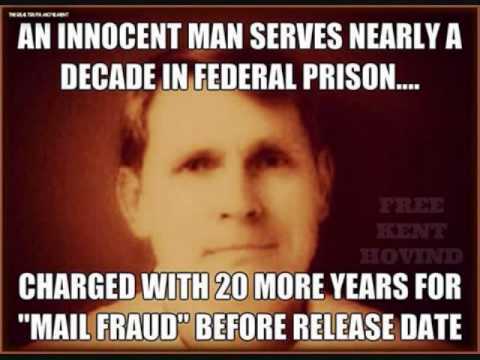 In the mean time, I don’t think the world will be a better place, because Kent Hovind gets sentenced to more time. You can follow me on Twitter @peterreillycpa. For my musings on non-tax matters check out We Are The Future Generations.